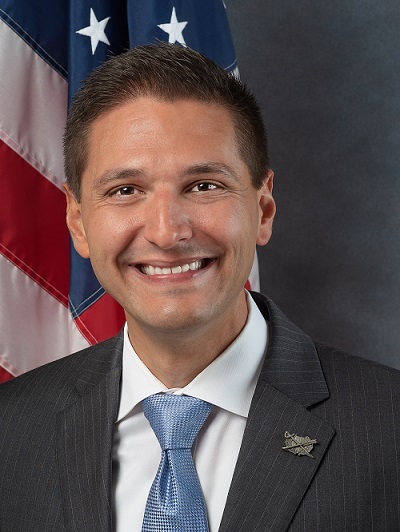 TALLAHASSEE – Former State Rep. Danny Burgess was appointed Executive Director of the Florida Department of Veterans’ Affairs by Gov. Ron DeSantis and the Florida Cabinet during the Jan. 24, 2019 Cabinet Meeting. FDVA is the premier point of entry for Florida’s more than 1.5 million veterans. The agency operates a network of seven state veterans’ homes and provides statewide outreach to connect veterans with their earned services, benefits and support. Burgess, an Army Reserve Captain, is a life-long resident of east Pasco County. Born and raised in Zephyrhills, he attended Zephyrhills High School and the University of South Florida. At the age of 18, he was elected the youngest city council member in the history of Zephyrhills and the youngest elected official in the State. He served two terms on the City Council before going to Barry Law School to get his law degree. He served as Mayor of Zephyrhills from 2013-2014 before being elected to the Florida House of Representatives in 2014. From 2016-2018, he served as Chair of the House Insurance and Banking Subcommittee. Burgess and his wife, Courtney, live in Zephyrhills with their three children: Adeline, Daniel III and Eleanor.